Teaching children math is easily as important as teaching children to read, for all of the same reasons. Alongside our reading skills, our math skills are used every day as we go about our daily lives. From counting to algebra, geometry and even trigonometry, math skills have practical use for everyone. We calculate currency using math, as well as tax or interest. We measure distances using math, and calculate area and perimeter. Math skills help us tell time, balance our checkbook, and even measure the span of our lives. However, math often slips through the cracks when we are building a foundation of skills with our infant or toddler. We read to and with our babies, teaching them words and concepts such as shape, color, and texture. Many math skills are things we don’t think of as math skills, such as counting or measuring. We also misjudge “math” as, at minimum, addition and subtraction, which infants and toddlers have not yet developed the cognition to grasp. So our focus often falls upon words and reading, with those activities often considered completely separate from math. As infants and toddlers learn to manipulate the world around them, they will experiment with the concepts listed above in a variety of ways, such as stacking blocks, grouping items by color, counting cracks in the sidewalk, and indicating their own age by holding up a corresponding number of fingers. In response to the need to teach these skills to young children come many board books that can be enjoyed with your baby, that also contribute to teaching them mathematical concepts. Some of them have colors and patterns that your baby can look at, while others have textures for your baby to feel (and, inevitably, taste). Books about counting are stories that encourage children to count in fun ways, such as Counting Kisses, which is sure to bring smiles along with its titular kisses, and Toddler Two, a story about twins counting pairs of things (here, you and your child also touch upon grouping). Pattern books usually come in black and white, which draws your baby’s eye to patterns and contrasting colors. They pay attention and interact with the book, but the exposure to patterns in what’s really important for their development. Spots and Dots has no words at all, but features geometric shapes that draw the eye and stimulate the brain. Shapes are frequently found in board books because they can be brightly colored as well as adapted to other mathematical concepts (such as patterns, counting and grouping), but books such as The Book of Shapes give them the spotlight. Personalized books add an extra layer of attention, because the math adventures in the books feature your child in a prominent role, usually as a main or pivotal character. Many of these books feature well-known characters, such as Disney princesses, superheroes, or Sesame Street characters. Let’s Count, for example, has children counting with Elmo, Bert and Ernie from Sesame Street, and Dora the Explorer personalized books even feature counting in Spanish. Babies and toddlers are sponges for knowledge of the world around them. The more they experience of life, the more they explore and open up the world around them. As more of the world comes within their reach, they absorb more and more about it. 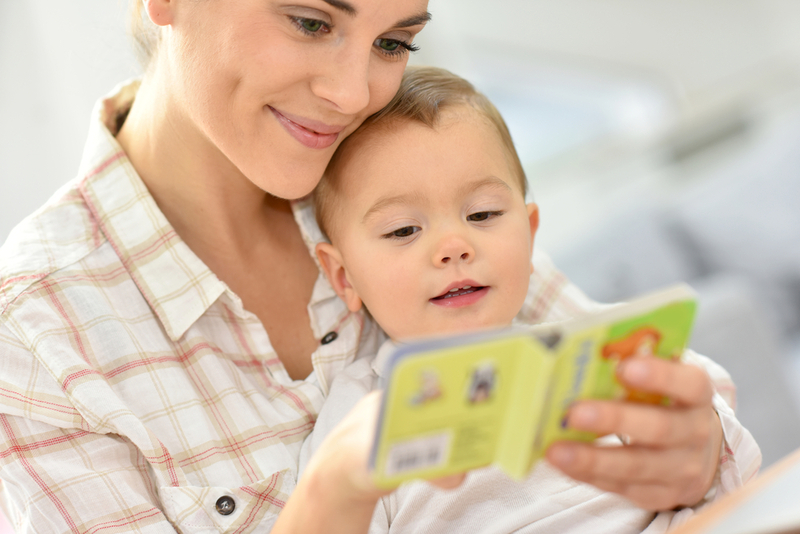 Encouraging learning through reading begins at a young age, and creates a bond with your child that will last a lifetime, but, as you can see, reading doesn’t have to be focused solely on words and language. 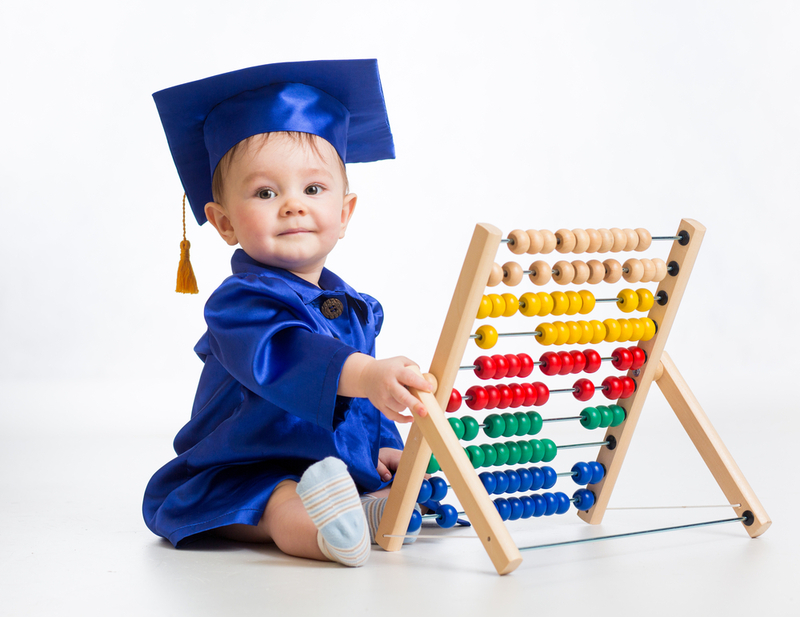 There is plenty of room in a baby’s mind for learning math and numbers, too!